For patients who suffer from food or seasonal allergies, their allergy doctor may recommend testing to determine the cause or causes of their symptoms. If you’re scheduled for allergy skin testing, then keep reading to learn the answers to common questions about this service. What does allergy skin testing test for? 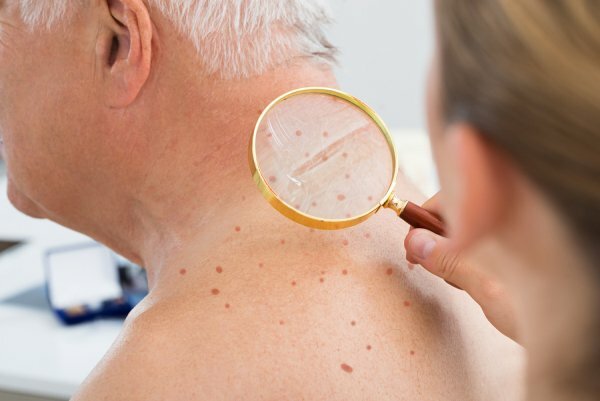 This type of allergy testing can check your skin for reactions to a broad range of allergens, including many weeds, trees, grasses, molds, foods and pet dander. To achieve accurate results from your allergy skin test, it’s important to stop taking antihistamines 10 days before your appointment, which includes the use of nose sprays containing histamines, as well. Examples of medications that should be stopped 10 days prior to testing include Allegra, Claritin, Loratadine, Clarinex, Zyrtec, Alavert, Phenergan, Atarax, Astelin, and Astepro. However, you can take some over-the-counter medications, such as Benadryl and allergy, cold, and sinus medications, up to 3 days before your appointment. Skin testing for allergies is a quick procedure. You will receive your results in about 20 minutes, meaning that you can complete the process in a single visit. Can allergy skin testing be performed on children? Yes, this type of allergy test can be conducted reliably and comfortably on children and infants. Is allergy skin testing painful? The standard regimen for this test is painless and involves no needles. Positive reactions to an allergen may cause temporary hives and itching. When is the best time for allergy skin testing? You will get reliable results from this test year-round whether you’re experiencing symptoms at the time or not. However, completing this test 3 to 6 months before you typically suffer from allergies allows you to begin the immunotherapy process before allergy season. The team of allergy doctors at Allergy & Asthma Specialists℠ offers state-of-the-art care for our patients and the community. To learn about our services for allergy testing in Pottstown, Doylestown, Blue Bell, Philadelphia, King of Prussia, Jenkintown, Lansdale, and Collegeville, Pennsylvania, please visit us online or call 1-800-86-COUGH.